HotPotatoes (HotPot) is a free software tool that allows instructors to make quizzes and other activities like crossword puzzles. For more information, and to download the program, visit the Hot Potatoes Home Page. Instructors will need to create the activity and save the file before adding the activity. 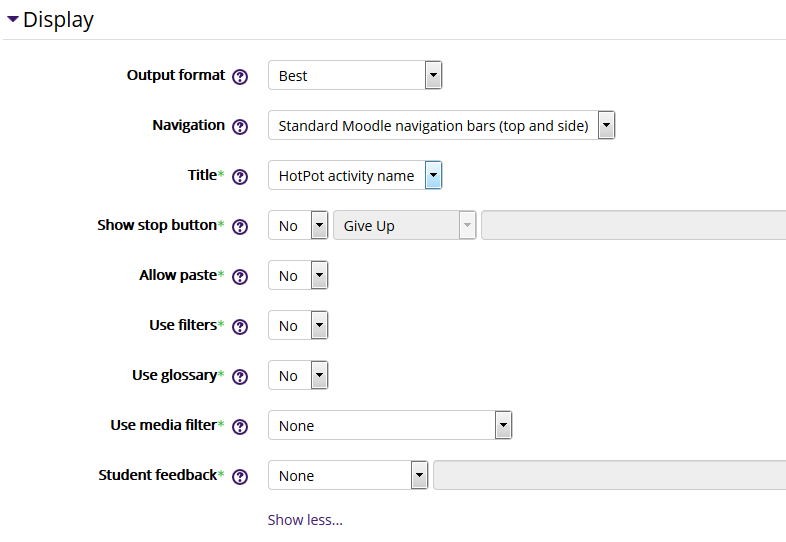 For instructions on adding a HotPot activity to Moodle, see Moodle 3: Activities & Resources: Add a HotPot Activity. An entry page, if enabled, will show students a page before starting the HotPot activity. The Entry page text could include additional instructions. 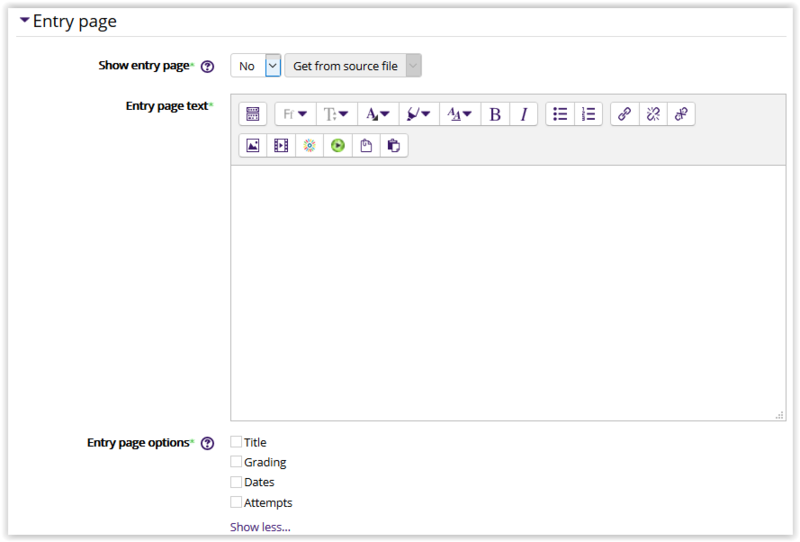 Below the text box, the instructor can choose to show students their grading and attempts on the entry page by checking the boxes next to each option. The Exit page settings are similar to the Entry page, but there are additional options. 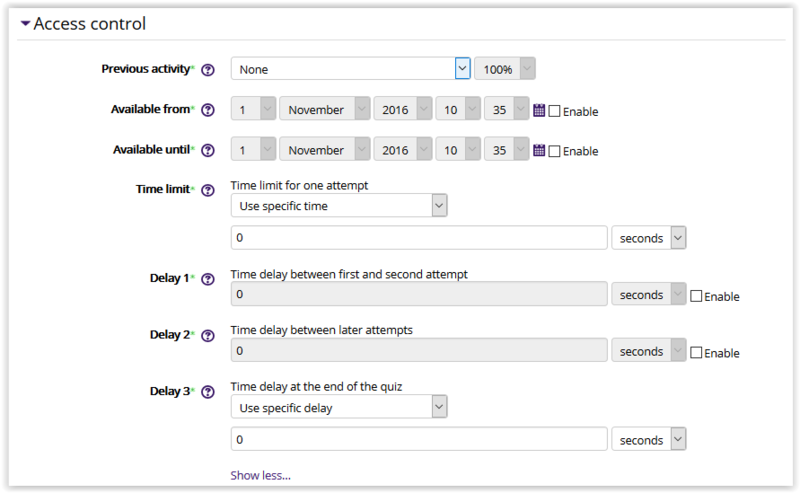 The Exit Page can link to the main course page, or other activity, and provide an exit message after a student has attempted the activity. The output format options depend upon the type of activity and source file has been added. Keeping the default Best option will use the optimal output format for the student's browser. 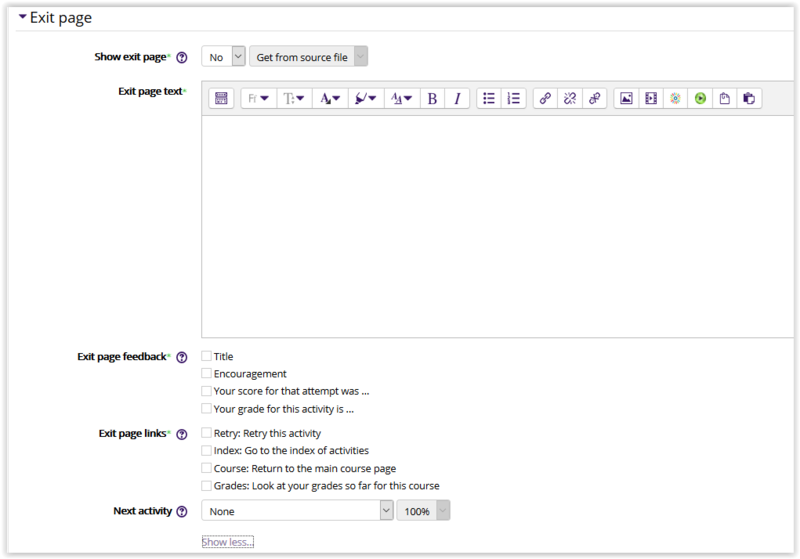 By clicking the Show more link, instructors can make additional selections regarding the activity title, whether students can paste text, include a stop button, use the Moodle filters and course glossary, and whether to allow students to discuss the activity with their instructor and classmates via a webpage or Moodle forum.